Since 1914, the second sunday of May has been celebrated as Mother's Day in honor of the most wonderful person in each family. 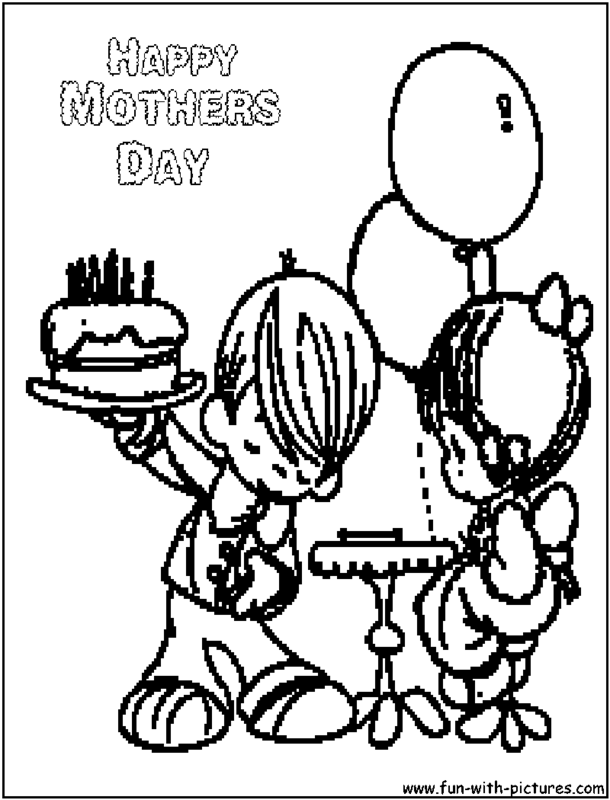 We all celebrate Mother’s Day on the second sunday of every May by giving gifts to Mom. Some give candy and greeting cards. Some create their own gifts. 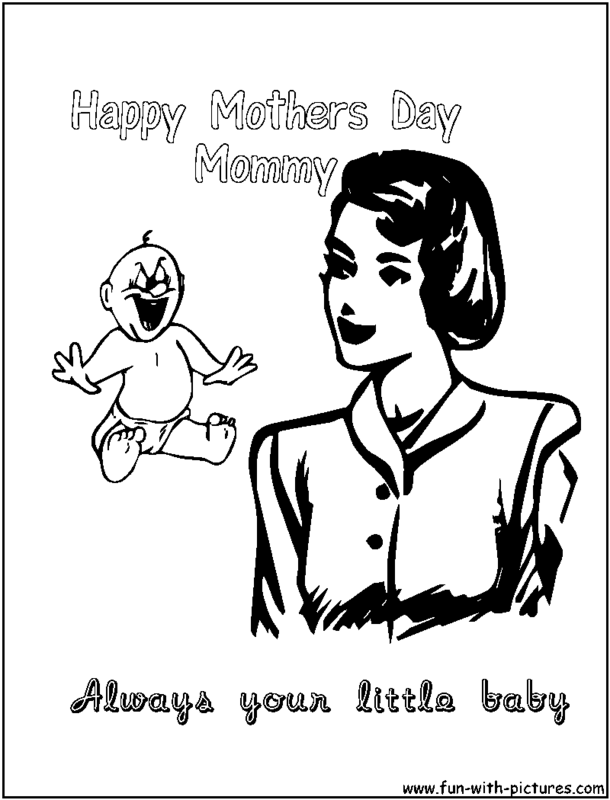 Anna Jarvis, the founder of the Mother's Day holiday, was very much against sending printed greeting cards to Mothers on this day. In her own words, "A printed card means nothing except that you are too lazy to write to the woman who has done more for you than anyone in the world." 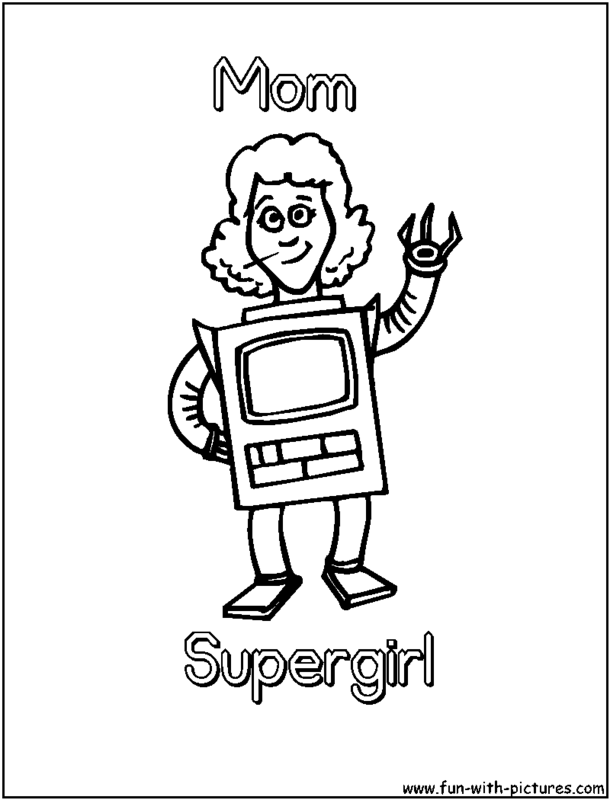 Here is a way to create your own greeting card for Mom. 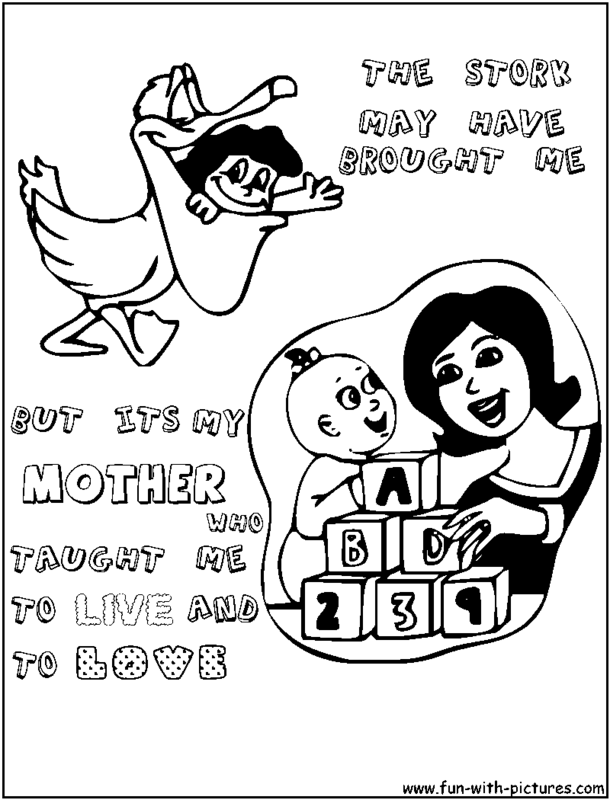 Print out a black and white Mother's Day Coloring Picture from this album of Mothers Day Coloring Pages and customize it with your own message and colors. Bottle-feeding: An opportunity for Daddy to get up at 2 am. “Being a full-time mother is one of the highest salaried jobs… since the payment is pure love.” Mildred B. Vermont.